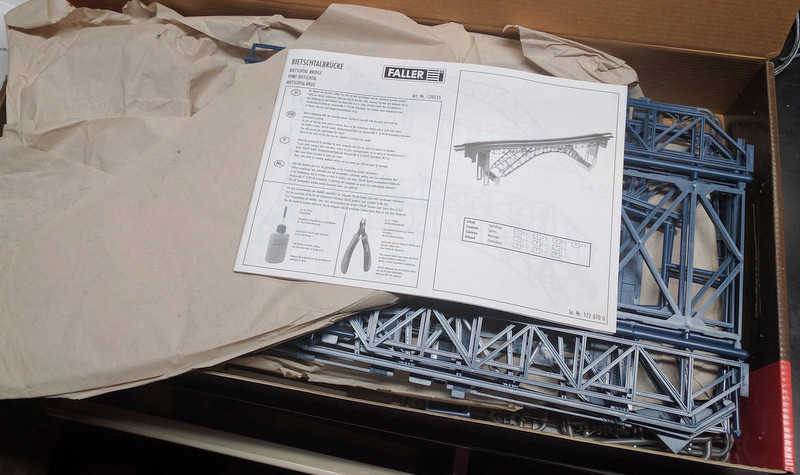 The most obvious product choice for a large impressive bridge is the Faller Bietschtalbrücke kit 120535. 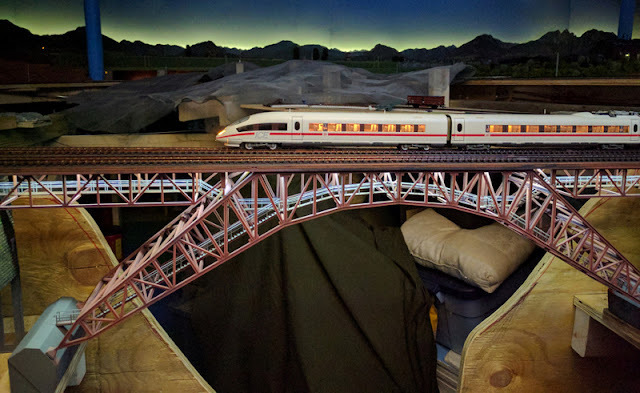 The bridge is 110cm long and 115mm wide and is modeled on the prototype in Switzerland. I have been building Faller kits for about 40 years and I was rather disappointed by the quality of this kit. 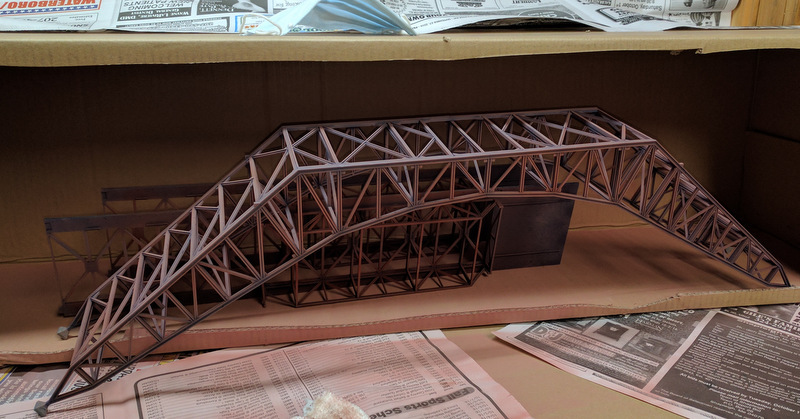 Despite those issues I was able to make it into the impressive bridge it should be. 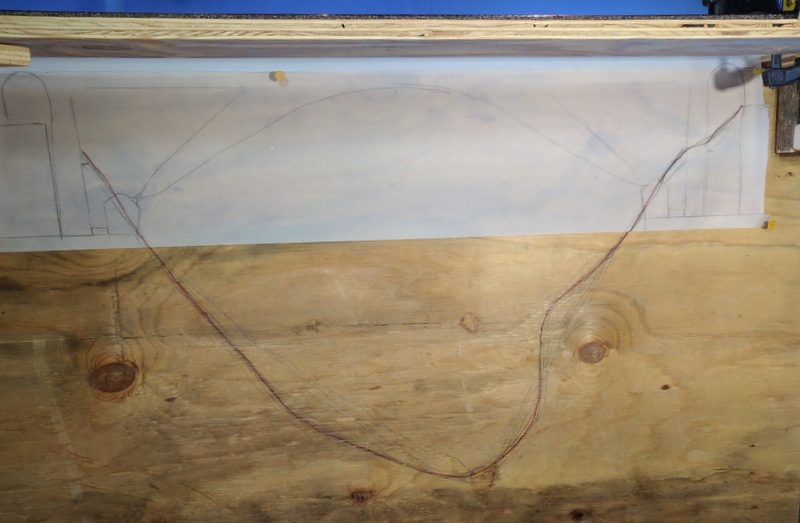 The box and all online specifications do not provide the width of the track road bed. It is only 85mm between the walkways. For Märklin K-track this means that the track distance for a double line has to be 55mm where the standard track spacings are 57mm and 64.6mm. 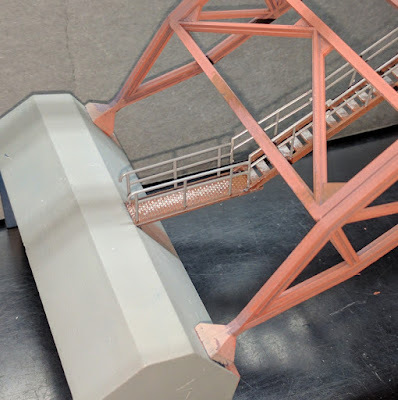 In addition, the walkways are about 1.5mm higher than the center so using the full 115mm width of the bridge means one has to install some sort of spacer in the middle so that the tracks do not lean into the middle. Critical dimensions such as the height and position of the concrete foundations are not published. One needs these to ensure accurate placement in the layout. 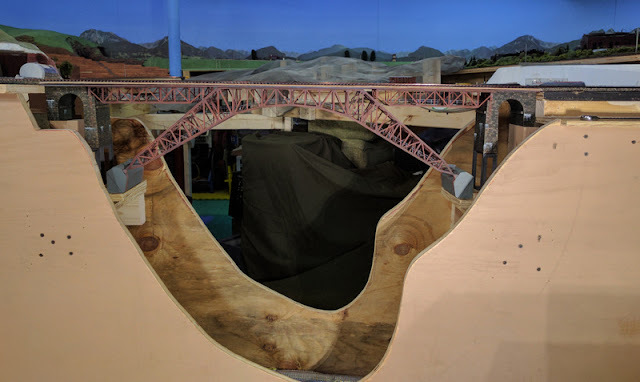 This means one has to build the kit first and then construct the valley and footings for the bridge. Most of the parts do not have the usual Faller style ridges and lugs that ensure an exact fit. 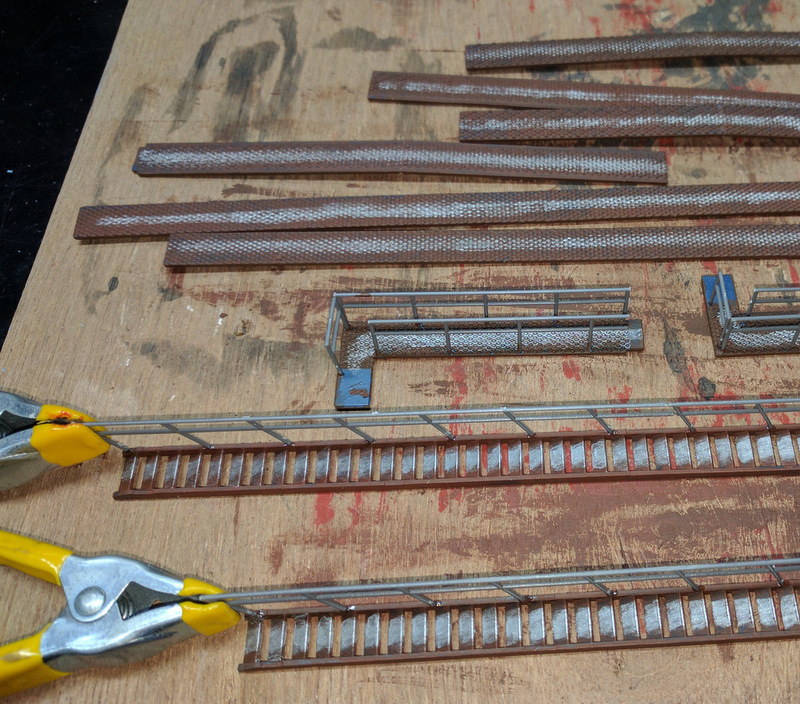 Girders, walkways, ladders and railing have to be glued into the right place by eye, it is as if one is kit bashing rather than assembling a kit designed to go together exactly. There are errors in the instructions. Parts have their part numbers interchanged, others are shown in the wrong place in the photograph, or the arrow is to the wrong part. 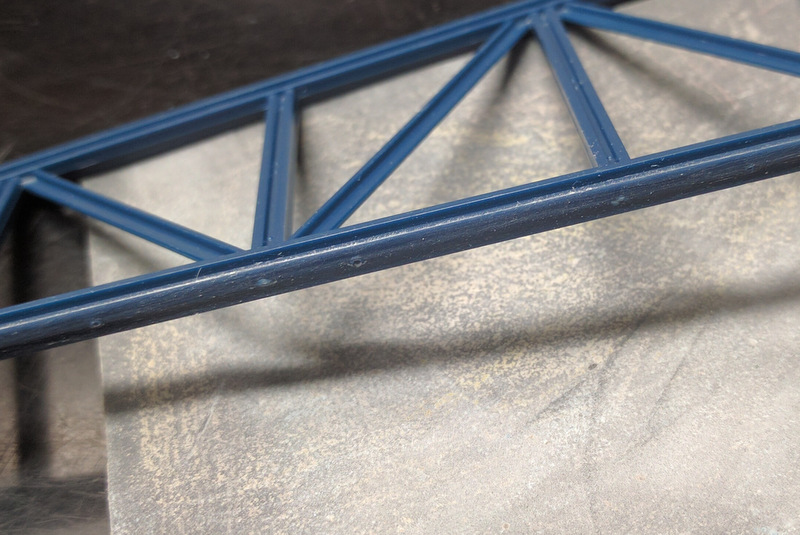 The concrete foundations are made from the same blue plastic as the bridge instead of a gray concrete color, despite there being gray railings and brown stone parts in the kit. No holes are provided for the numerous railings that have to be attached to walkways and ladders underneath the bridge. The walkways on the top have holes for the railings, so why not place them everywhere? Gluing railings by the tiny endpoints is very tricky and results in very weak fastenings. 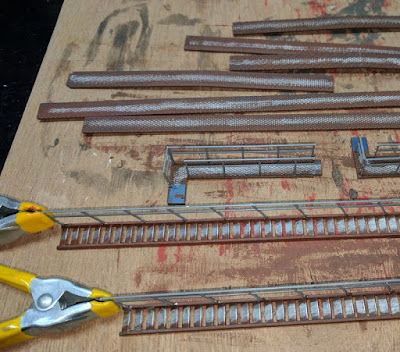 The railings provided mostly seem to be standard general purpose railing and they have to be cut to the right size and or joined together to make them the right length. There are two access ladders to the walkways under the bridge. The ends of the ladders end in mid air about 2.6 scale meters away from anywhere a human could get to. The curved archways of the stone supports did not fit the curve of the sidewalls well. I get the feeling that the design of this kit did not come out of in-house Faller design. I am wondering if it was bought from a third party and then included in the Faller product range. Here are photographs of the stages and approaches I took during building. I lightly sanded off burs after removing parts from the sprues. 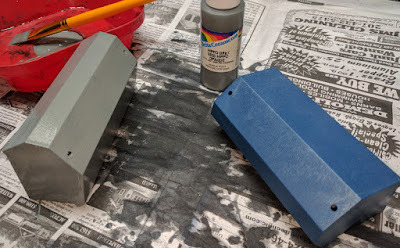 I decided that the pristine blue structure would need some weathering, but given the fact that the pieces have to be glued 'by eye' with very few positioning lugs, I decided not to risk trying to glue painted parts together wherever possible. 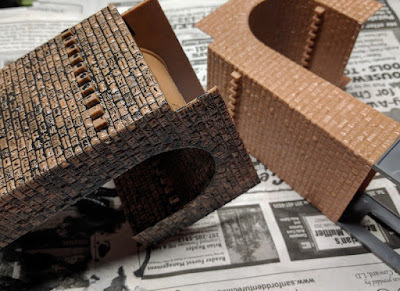 I thus constructed the main structure before spraying it a rusty brown color before adding any walkways and railing. 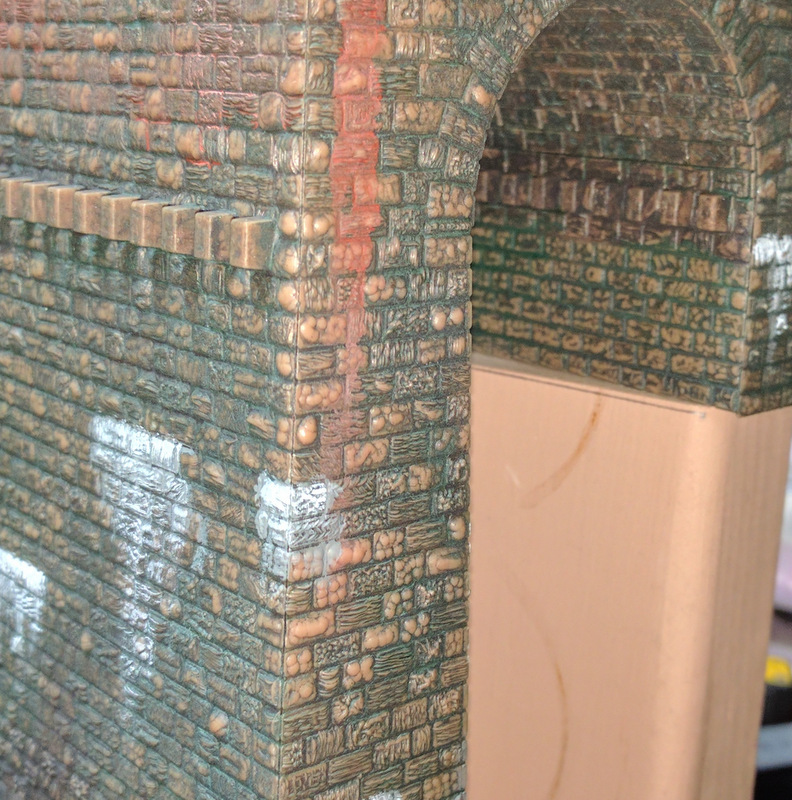 Once the stone arches were assembled I weathered the stonework. First a coat of black paint. 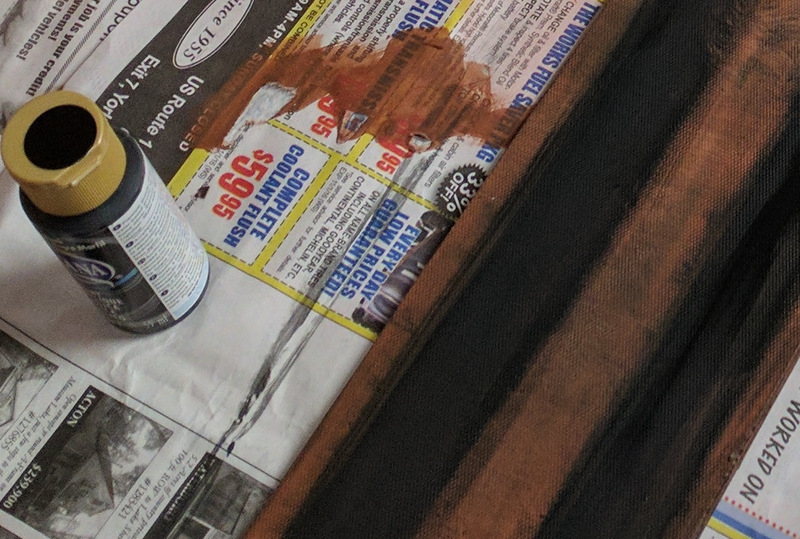 Once that was dry I added some green paint to simulate some moss and also added some calcium and rust deposits. The concrete foundations got a coat of gray paint. 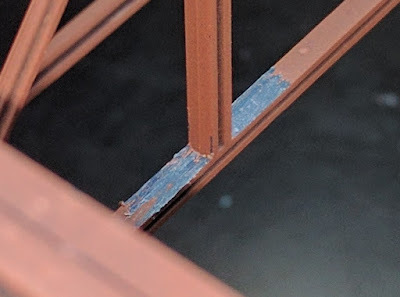 I decided that the very fragile nature of the railings on the outer edge of the bridge would result in breakage so I opted to leave the second walkway off. The interior walkways are much more protected from damage and parts not used on the outer walkway could be used to create access to the ends of the ladders at the concrete foundations. I also painted the walkways and then added some silver paint to the steps to simulate the polish that metal gets with foot traffic. Assembly of the walkway railings need some patience and care. 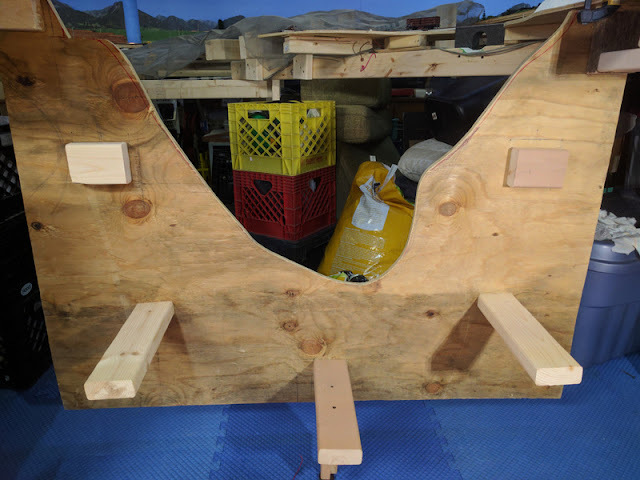 I glued one side at a time and held the railing in place with a small clamp. 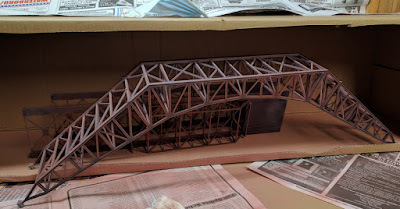 Before gluing the walkways into the superstructure, I scraped some paint off where contact would be made. 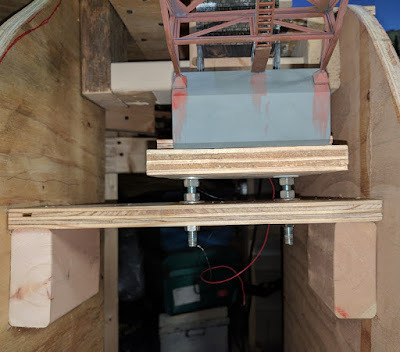 I used some of the parts meant for the exterior walkway to make access walkways to the central ladders from the concrete foundations. 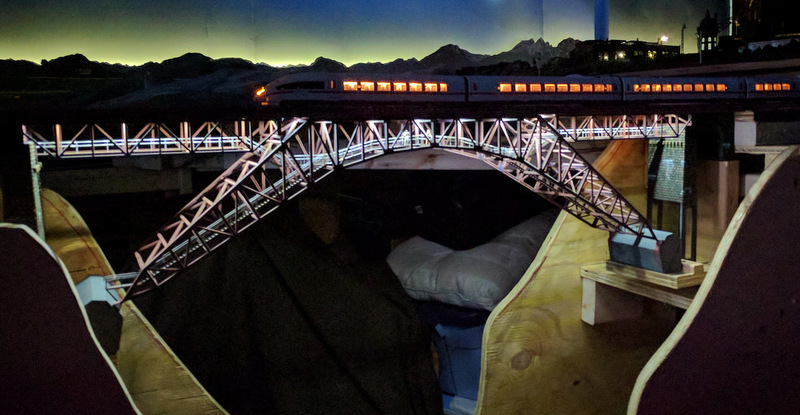 The strip of lights was laid on the top of the bridge facing down. 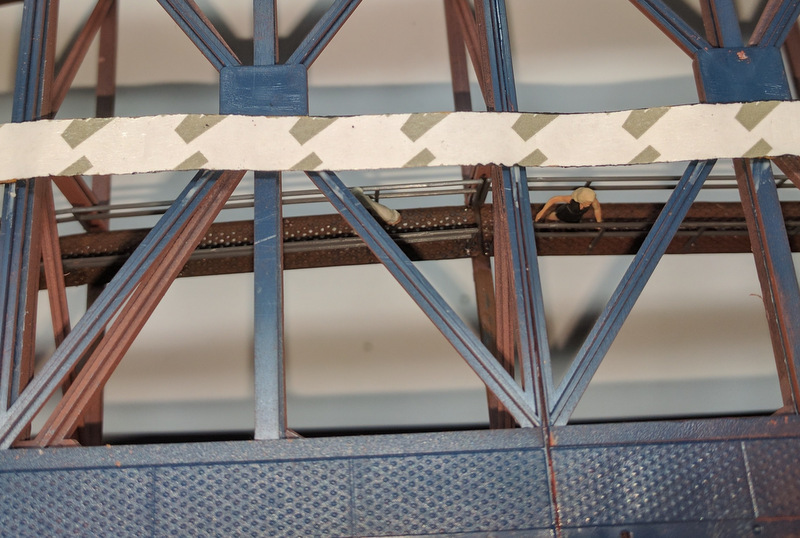 I placed them slightly off center to avoid the large squares on the girder connections. In order to provide a uniform horizontal upper surface I ordered two packs of steel tread plate made of styrene. The sheets allowed light to shine through so I added a layer of thin plywood from an old hollow door. The tread plates were cut to size and glued onto the plywood and painted. 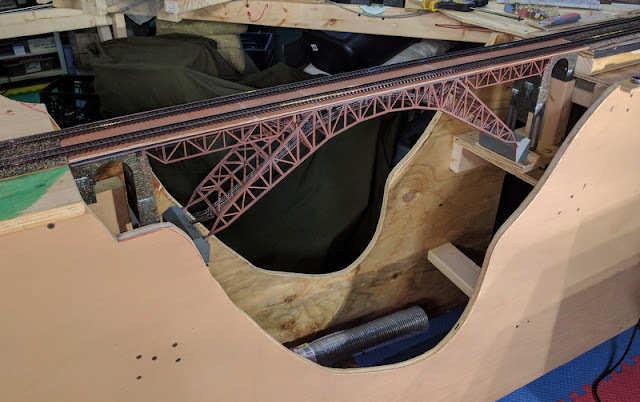 In order to mount the bridge in the layout I created a U-shaped support from plywood. Within this support are the two bases to hold the bridge, positioned on threaded bolts so that the height of the bridge could be adjusted accurately. 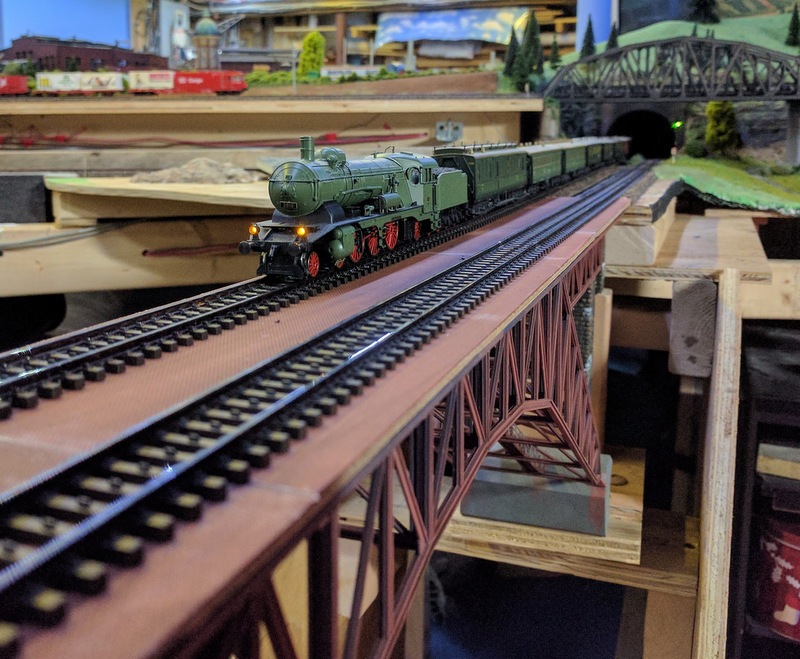 I advise against assuming that once built, this bridge will be of exact dimensions. This may be why Faller publishes very little about the exact size. Despite extreme care to build this structure with great accuracy, it is not exactly straight and square. 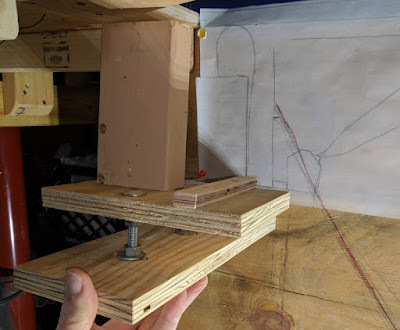 I suggest instead that you construct adjustable bases so that its position can be adjusted. Finally the temporary bridge holding the mainline could be removed and the bridge put in place! 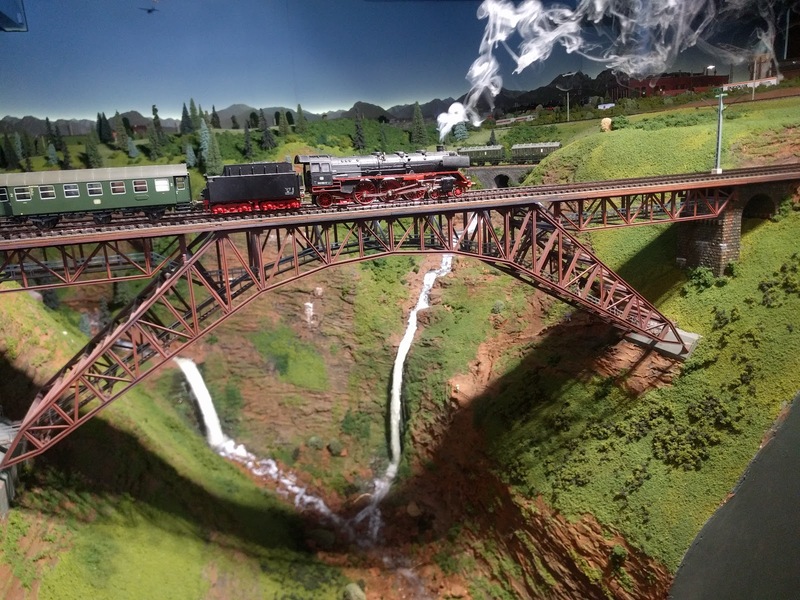 Once the holding bolts had been adjusted it was time for the first test trains! 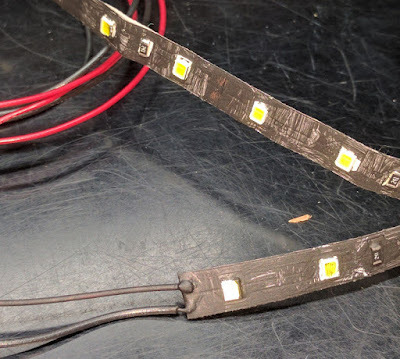 The lights were connected via a LED pulse width dimmer connected to a K84 module so I can switch the lights from the layout control software. The next step will be to add the scenery surfaces under the bridge and in the adjoining areas.